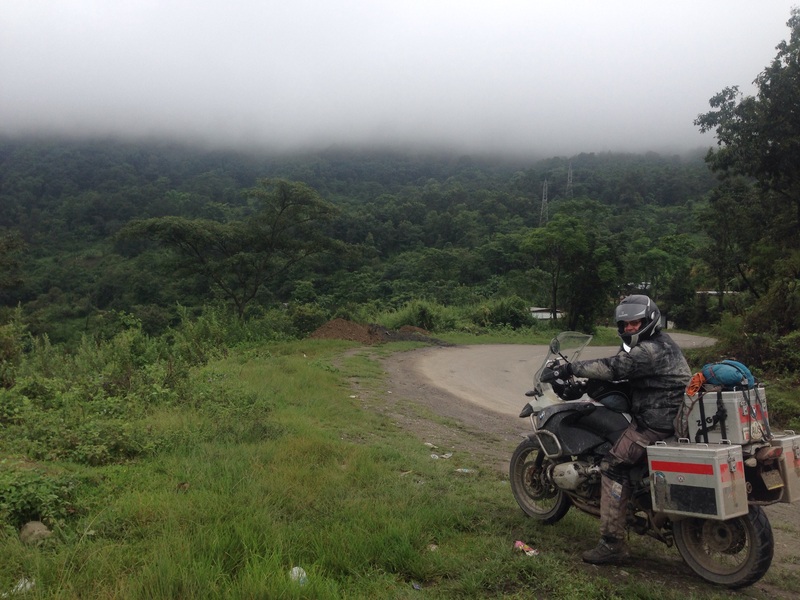 Riding on our way to Imphal, they are clouds blocking the view as we are high up. 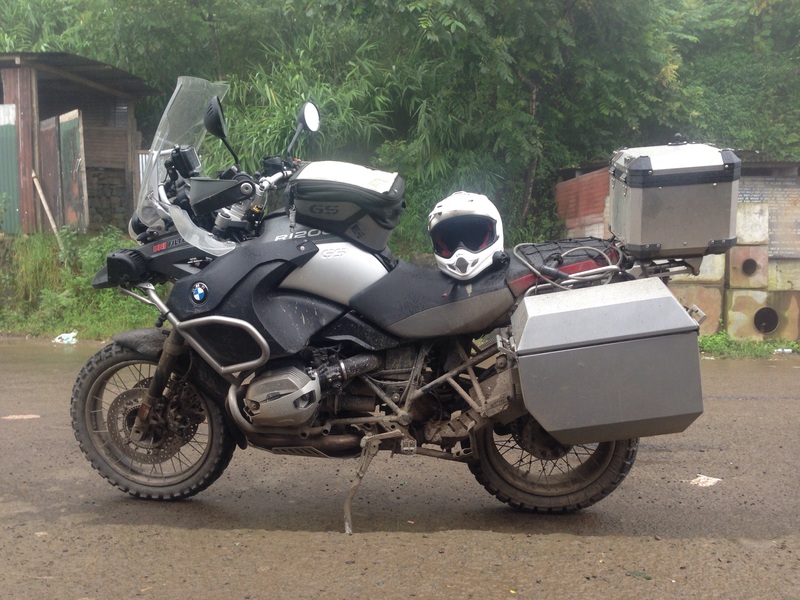 The ride today from Kohima to Imphal was to be a relatively short ride by distance (totalling only 187km’s) however the difficulty due to raod conditions made it very difficult. We were forced to take a diversion due to a major landslide blocking the main road not far out of town. 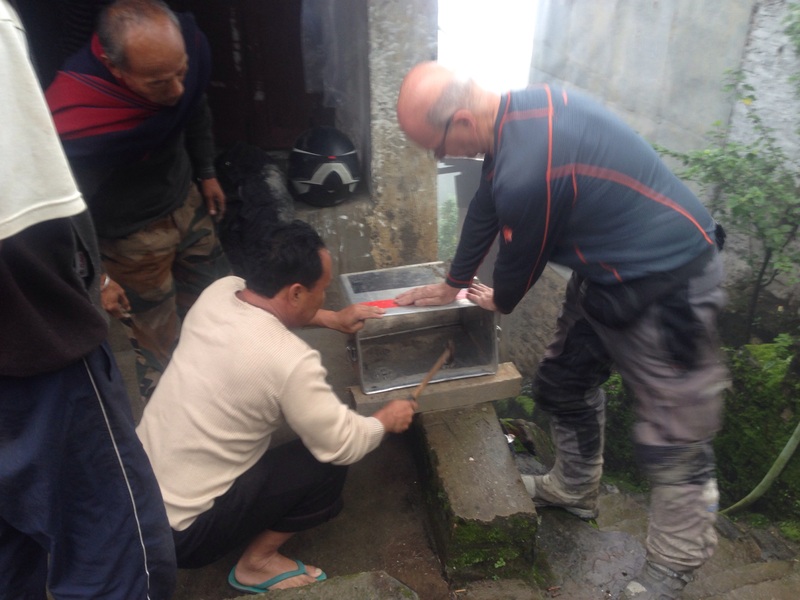 The problems started in trying to navigate out of Kohima with us doing a lap of the town 3 times after following directions form locals. We were finally escorted out to the correct by a friendly police officer allowing us to make some kind of progress. due to these being back roads we were taking and a complete lack of signage we were having to ask locals and double check at every junction as we progressed. Any mistake would have cost us hours which would have caused issues with us arriving at our destination that evening. The weather improved, however the road deteriorated to a dirt track which consisted of massive pot holes, large washed out sections of road and huge puddles making for very slow progress. Finally Steve’s top box called it a day with the mounting bracket failing completely. This meant a 1hr stop while we rigged a temporary fix, strapping the box down in order to get to the destination. We continued on with Steve unfortunately dropping his bike in mud along side a bunch of Indian soldiers who were on foot patrol in the area. The friendly soldier quickly helped Steve get his bike upright once more. The left pannier required repairs as it had yet again had a hit, however we waited till we reached a local town before the box was repaired. Eventually we made the highway (very loose definition) which is where a couple of local chaps helped Steve repair the damaged Pannier. Once back underway traffic was all but non existent due to the local strike once more. At one point we came across a vandalized truck in the middle of the road which we later read had been shot at the evening before as the driver tried to avoid the strike with him paying the price of his truck being smashed. When you see things like that it gives you an idea that all is not well in these parts and we should tread carefully ourselves. Dirty BMW. Lovin my ride. We finally made it to Imphal at 6.00pm to the hotel we had booked earlier which allowed us to relax fr the evening after such a challenging day. Manipur is also a dry state so no beer tonight.